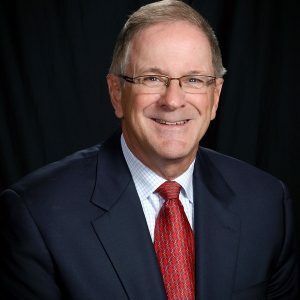 Frank Drendel served as CommScope‘s CEO after founding the company in 1976 as a North Carolina corporation based in Hickory until the acquisition of CommScope by The Carlyle Group in January 2011. He has served as chair since 1997, when CommScope was spun off from General Instrument Corp. (subsequently renamed General Semiconductor Inc.) and became an independent, publicly traded company on the New York Stock Exchange. CommScope has grown into a multibillion-dollar global leader in infrastructure solutions for communications networks spanning the globe. Through organic growth and acquisitions of Avaya Connectivity Solutions, Andrew Corp. and TE Connectivity Broadband Network Solutions, the company established leadership positions in key markets – wireless, business enterprise, telecom and cable television/residential broadband – that continue today. Ronald Modell is the founder of the NIU Jazz Ensemble and has been active in jazz, symphony and pop music scenes for decades, working with some of the best-known names in music. Modell arrived at NIU in 1969, and that fall, 60 Huskies auditioned for the 20 available chairs for the very first NIU Jazz Ensemble. Students were encouraged to write their own music or arrange music that they really loved for big band. Less than a decade after Modell began at NIU, the NIU Jazz Ensemble joined Dizzy Gillespie as the featured performers at the annual conference of the National Association of Jazz Educators in Dallas. After Modell appeared on “The Studs Terkel Program” with jazz drummer Louie Bellson in 1979, WTTW-Chicago called the next morning to create a public television documentary on the NIU Jazz Ensemble. Four years later, “One Year in the Life of the Greatest College Jazz Band in America” flooded the national PBS airwaves. Fan mail from as far as Alaska and Hawaii arrived in DeKalb. The documentary won two Chicago Emmy awards. Proclaimed the top college jazz band in the country in 1983 by Downbeat magazine, Modell and his band conquered Europe that July with an appearance at the world-famous Montreux Jazz Festival in Switzerland. Several NIU presidents during Modell’s time said the jazz ensemble cultivated the university’s greatest public relations. 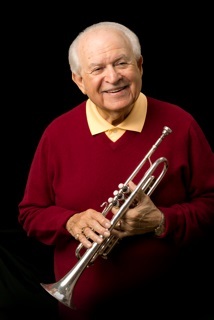 Modell became a professional musician at 15, embarked on his first national tour at 18, was named principal trumpeter of the Tulsa Philharmonic that same year and eventually played nine seasons with the Dallas Symphony Orchestra as its principal trumpeter. He performed everywhere, from Catskills supper clubs to Carnegie Hall, met Hollywood movie stars on Paramount Studios’ soundstages and shook the hand of President Lyndon B. Johnson in the White House. After retirement in 1998, at the request of Phil Collins, he assembled a band that included nine alumni of the NIU Jazz Ensemble for the pop star’s worldwide summer tour. His memoirs are in this book, titled “Loved Bein’ Here With You” (adapted from the tune that Modell sang to close every jazz ensemble concert). The book is a page turner full of humor, heartbreak, wit and wisdom and provides backstage stories from club gigs to friendships with famous jazz performers. After graduating, Robert Rothkopf built a career in the automotive and metalworking industries and has given back to NIU as a volunteer, philanthropist and instructor. He joined the Chrysler Corp. while he was a full-time student, completed an executive training program there and served as a foreman, shipping supervisor and production control supervisor. By 1970, Camcar Textron welcomed Rothkopf, and he worked his way up the ranks and became president in 1986. He then moved on to Elco Textron, where he served as president of the industrial products division. By 2000, Rothkopf started his own metalworking industry consulting firm, Rothkopf and Associates. 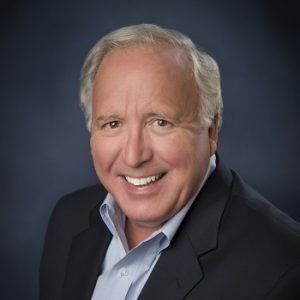 From 2004 until 2010, he served as president and CEO of the Semblex Corp.
As a member of the College of Business Board of Executive Advisors for 22 years, he helped spearhead the BELIEF program, Career Compass and the Passport Program. 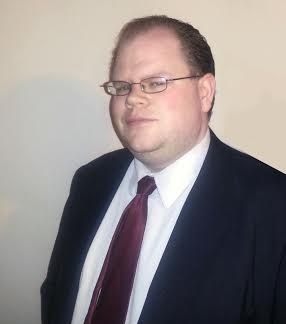 He has also served on the board of the NIU Rockford Alumni Club and has mentored students at the College of Business for the past 10 years. In 2010, Rothkopf began his teaching career at NIU, sharing his experience with honors business students. He is known as a charismatic instructor who encourages students to reach their full potential. Rothkopf has received the Marketing Honor Society’s Excellence in Corporate Achievement Award, was named a Rockford Area Distinguished Alumnus and was honored with the Distinguished Alumnus Award from the Department of Management. Several charitable organizations have benefited from his involvement, including United Way, the Golden Apple Foundation and Rockford MELD, an organization that provides shelter, education and life skills training to young parents. Thanks to the Robert and Catherine Rothkopf Leadership Scholarship, several students each year have an opportunity to build their careers. Outstanding College Alumni Award: College of Education - Ann E. Rondeau, Ed.D. 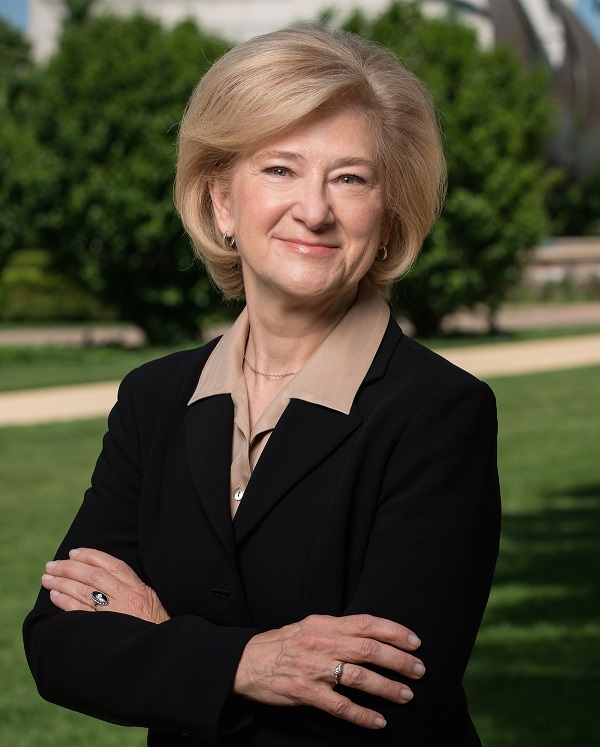 Ann Rondeau became the sixth president of the College of DuPage in July 2016 and is a past president of the National Defense University, a consortium of five colleges and nine research centers in Washington, D.C.
She retired from the U.S. Navy as a three-star admiral in 2012 and is the second woman to achieve this rank. She then served as a partner and an independent consultant with the IBM Watson Group. Her extensive leadership experience includes serving as deputy combatant commander of the U.S. Transportation Command in Illinois, Pentagon director and chief of staff for the U.S. Navy, commander of the Navy Personnel Development Command in Virginia, commander of the Naval Service Training Command in Great Lakes, Illinois, Pacific Fleet assistant staff chief in Hawaii and commanding officer of Naval Support Activity in Tennessee. Rondeau holds a B.A. from Eisenhower College, an M.A. from Georgetown University, an Ed.D. from Northern Illinois University and an honorary doctorate in public service from Carthage College. Since graduation, Daniel Bailey has worked for Nestle USA, starting as an industrial engineer and moving his way up to an industrial engineer/process specialist in 2009. In 2012, he was promoted to a supply chain business analyst, and he specializes in managing and improving Nestle’s warehouse process. His accomplishments include implementing an incentive-based pay system, creating grassroots process improvements and implementing cost savings initiatives for the warehouse. Bailey has sponsored multiple senior design and engineer-in-residence projects for the NIU College of Engineering and Engineering Technology and was recognized with an alumni award from the NIU Department of Industrial and Systems Engineering for the 2013-2014 school year. The college also recognized him as the Industrial Engineering Graduate Student of the Year in 2006 and the Industrial Engineering Undergraduate of the Year in 2005. 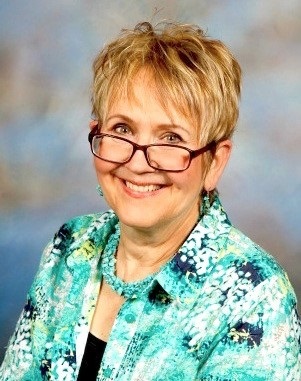 Joyce Barra is an instructor at Weber State University in Utah, where she teaches nursing courses and is a member of the Institutional Review Board. She has also served as director of the master’s program in nursing. Heather Wier Vaught is special counsel to Illinois House Speaker Michael J. Madigan and the House Democratic Caucus. In her role, she represents members, provides in-depth legal analysis of legislation pending before the General Assembly and handles special projects. During her tenure since 2006, she has served in several roles, including chief counsel, deputy counsel and ethics officer for the caucus. Until December 2016, she served as the parliamentarian for the Illinois House of Representatives, where she was the final arbiter on the interpretation of House rules, issuing decisions on questions of parliamentary procedure and constitutional requirements. In 2009, Wier Vaught served as the Illinois House’s assistant prosecutor for the impeachment trial of Gov. Rod Blagojevich. She was also appointed as a special assistant attorney general for several cases that raised constitutional questions. 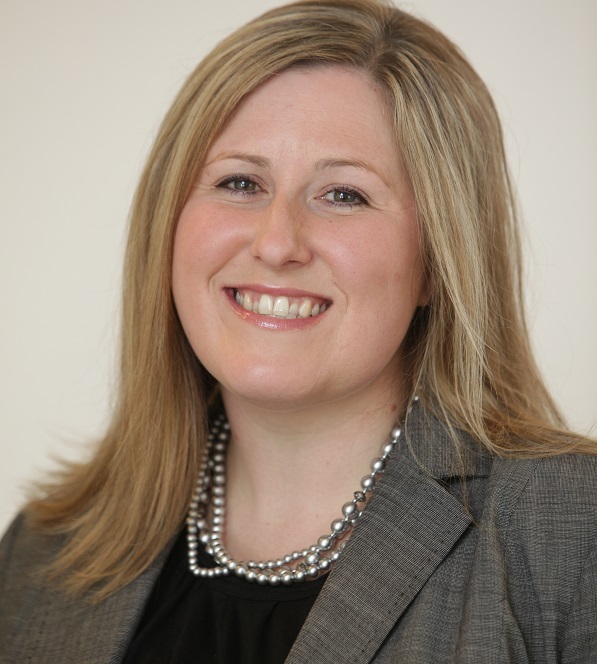 She is a member of the Women’s Bar Foundation, the Perspective Editorial Board for the American Bar Association’s Commission on Women in the Profession, the NIU College of Law Alumni Council, Step Up Women’s Network and several community organizations. 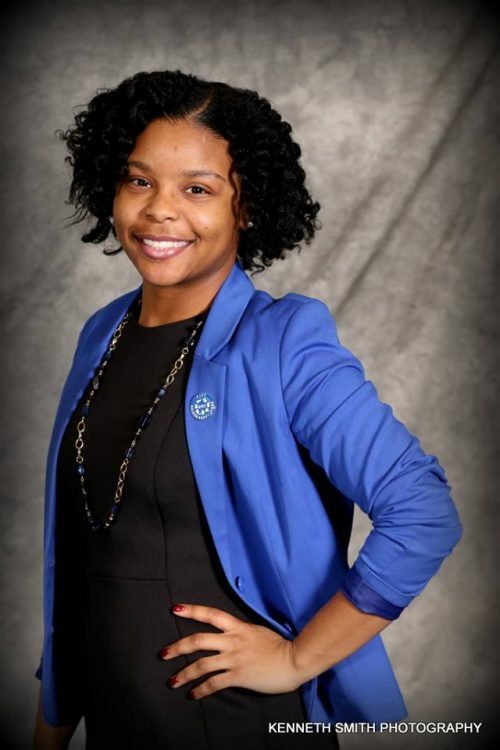 She has received multiple awards recognizing her commitment and leadership, including the NIU College of Law Young Alum of the Year and a “Rise Up and Reach Back” award from the Women’s Bar Foundation. In 2014, she was named to the Chicago Law Bulletin’s “40 Under Forty” list. 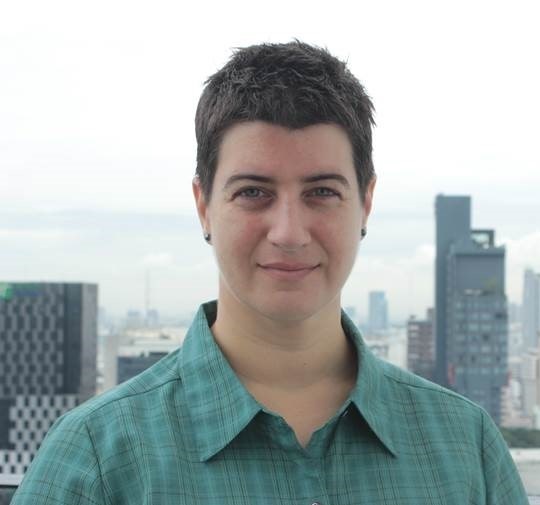 Jenn Weidman is the managing director/CEO of Space Bangkok, a social enterprise that promotes resilience and innovation in individual and organizational work by encouraging reflective practice and incorporating reflective elements in leadership, capacity building, facilitation and problem solving. Her work focuses on shifting the industry norms that foster burnout and holistic unwellness. She is an anthropologist and area specialist in Thailand and Southeast Asia with more than 14 years of experience in the field and more than 24 years of experience interacting with the Thailand and Southeast Asia cultures. Prior to taking on her current position, Weidman was deputy director of the Rotary Peace Center at Chulalongkorn University in Bangkok, Thailand, where she managed and facilitated a three-month professional development certificate training course in peace and conflict studies for professionals from around the world to help them with work relating to conflict resolution, peacebuilding, capacity building and human rights. After graduating with her bachelor’s degree, Weidman moved to Chiang Mai, Thailand, to work with the International Programs department at Payap University. While working on her master’s degree in anthropology, she conducted fieldwork in Thailand, examining the working culture, interactions and politics in a multicultural office. In 2005, she began working with the Rotary Peace Centers in Evanston. There, she played a pivotal role in establishing the Rotary Peace Center at Chulalongkorn University in Bangkok, where she served as deputy director from 2009 to 2015. 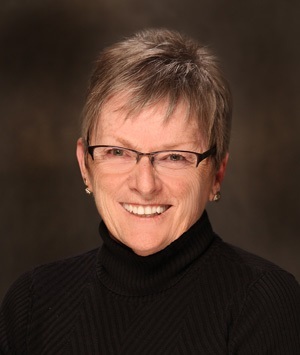 Through her work at the center, Weidman was responsible for the delivery of training content, including field studies to conflict and post-conflict locations in Thailand, Cambodia, Nepal and the Philippines, and translated Thai and English in classroom and field study settings. She has trained and continues to mentor peacebuilders working in 70 countries. In 2007, Weidman received the Paul Harris Fellow Award, the highest honor given to staff by Rotarians. She studies Thai martial arts, swords and other weapon forms at the Siamyuth Baan Kru Preang School, where she holds a first-degree light blue belt in Muay Thai Chaiya. Because she is a dedicated Southeast Asian specialist with a deep commitment to humanitarian work, Weidman was awarded the 2015 College of Liberal Arts and Sciences Distinguished Alumni Award. She is also a member of the NIU Anthropology Alumni Advisory Board. Rebecca Pelley is an art educator who has led her students to a better understanding of themselves, their potential, the nature of art and our world. For 46 years, she has fostered curiosity, nurtured critical thinking and rewarded creativity in public and private schools alike. Through her contributions to powerhouse art programs in Rockford area schools, she has given a lifetime of distinguished service to young people and teaching. Pelley serves as Art Department chair at Boylan Catholic High School in Rockford. The nationally award-winning program recognizes art as a discipline that contributes to the development of the whole person. Pelley was instrumental in developing this holistic approach and personally spearheaded those efforts for more than 30 years. She created courses in advanced placement (AP) studio art and AP art history at Guilford High School. She taught both courses, and her students consistently attained the highest scores of any advanced placement offering at the school. At Rockford East High School, Pelley brought a dramatic turnaround to the art department and vast improvements in student performance. As education director of the Rockford Art Museum from 2003 until 2005, she expanded community outreach by working tirelessly with regional stakeholders, business leaders, educational institutions, cultural institutions and volunteers to advance the museum’s mission to enrich the quality of life for people of all ages through collections, exhibitions and education. Since the 1970s, Pelley’s art students have enjoyed a strong presence, awards and scholarships in national, regional and local exhibitions, including the Scholastic Art Exhibit, Rockford Art Museum’s Young Artist Show, the high school art exhibition at Northern Illinois University, Rock Valley College’s high school show and Rockford’s ArtScene exhibits. Pelley’s strengths as both an educator and artist have not gone unnoticed. In 2011, she received the Mayor’s Art Award for Excellence in Teaching from the Rockford Area Arts Council. Pelley was chosen to receive the Golden Apple Award in 2015 for exceptional teaching and service to her students, schools and community. She is a member of the Golden Apple Teacher Academy to connect master teachers with teachers seeking to improve their practice. Since 1975, Pelley has received 13 national commendations for teaching from the Scholastic Art Awards program. An avid watercolorist, artist and writer, Pelley regularly exhibits her work and has published poems in the Rockford Review and Korone: Women’s Voices. She has published educational articles, including “Sticks, Students and Sculpture,” featured in SchoolArts magazine. Pelley’s watercolors and drawings have been featured in national, state and local exhibitions and are found in Midwest collections, such as at the Illinois State Museum, Rockford Art Museum and corporate locations.